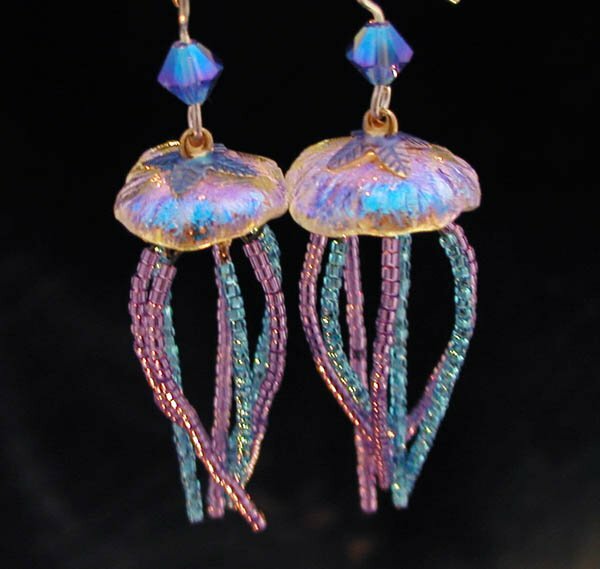 Fabulous, voluptuous one-of-a-kind jellyfish earrings are created from iridescent glass perfectly matched with seed and bugle bead tentacles. Faceted crystal beads sparkle from within these intricate beauties. 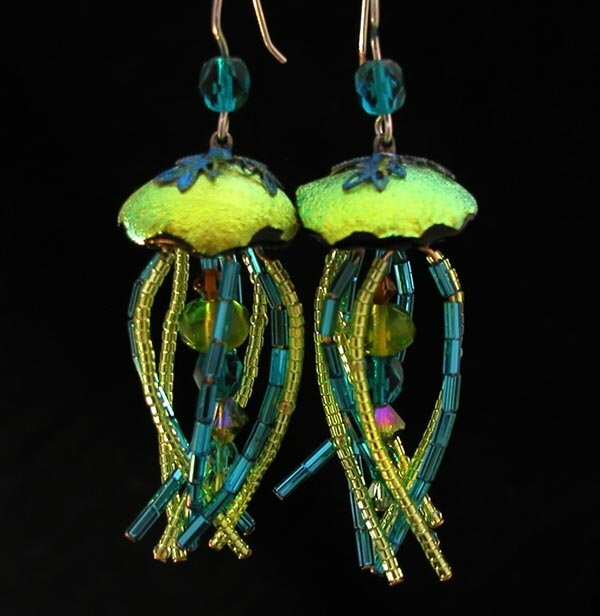 This unique pair measures 2 3/4 inches in length, from the top of the earwire to the bottom of the tendrils. They have a diameter of about 3/4 inch at the widest point. 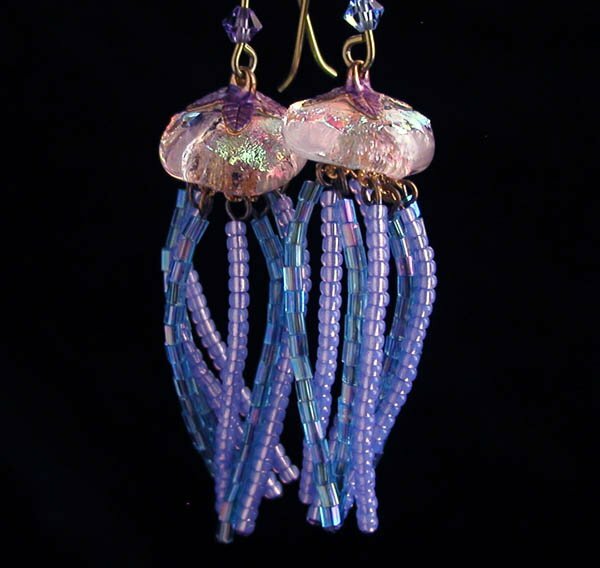 The jellyfish shimmers in purple blue and is adorned with magenta, orange and purple seed beads and bugle beads. 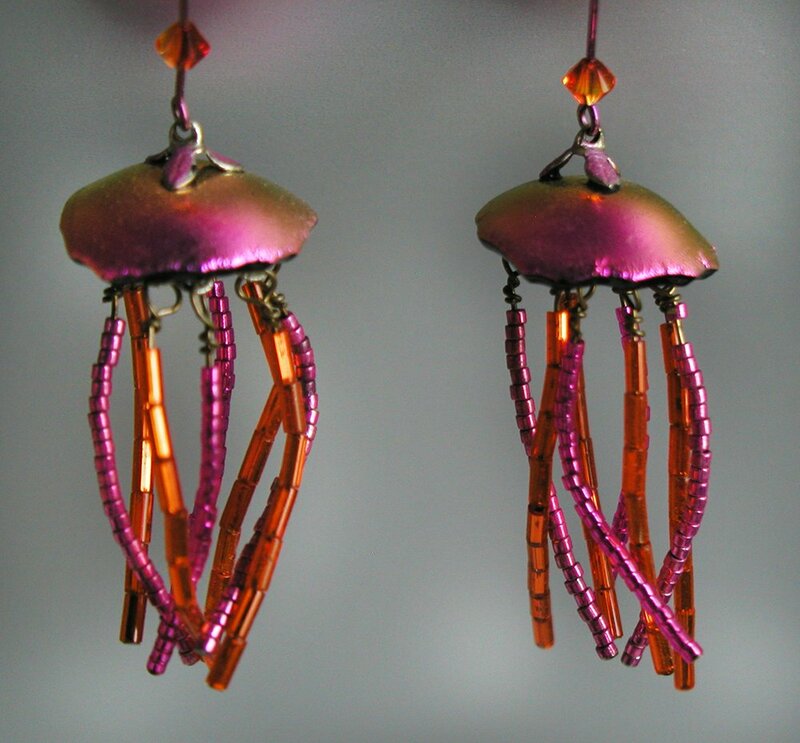 The jellies hang from hypoallergenic niobium ear wires. I am happy to switch the wires to surgical steel, sterling silver , or non-pierced quality hangers at no charge. 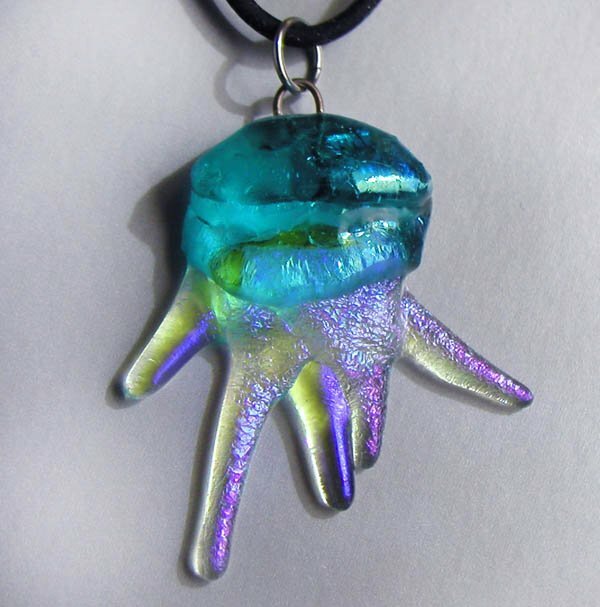 This light and easy to wear pair of jellies has a dichroic iridescent top; it changes colors from royal purple to dark teal blue. 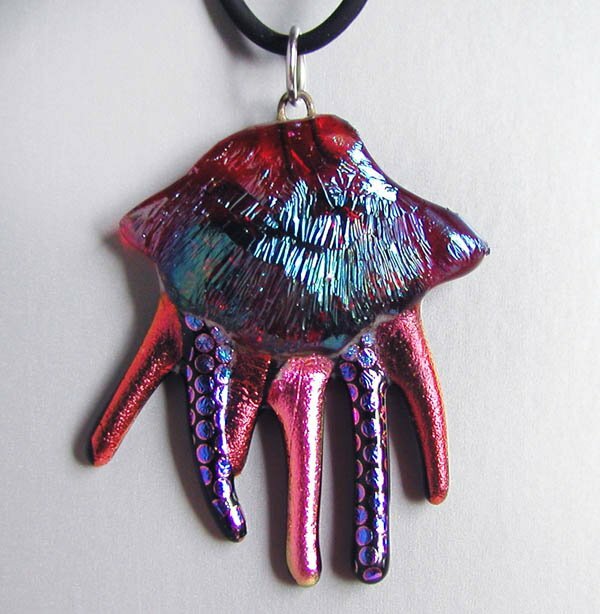 The tentacles alternate with purple seed beads and teal bugle beads. The ear wires have teal faceted crystals. 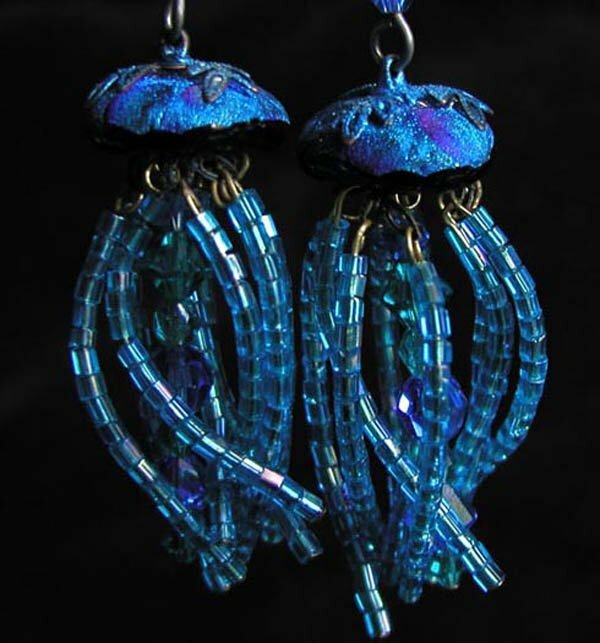 These earrings are very sleek and elegant, the tentacles move in a lovely sway. 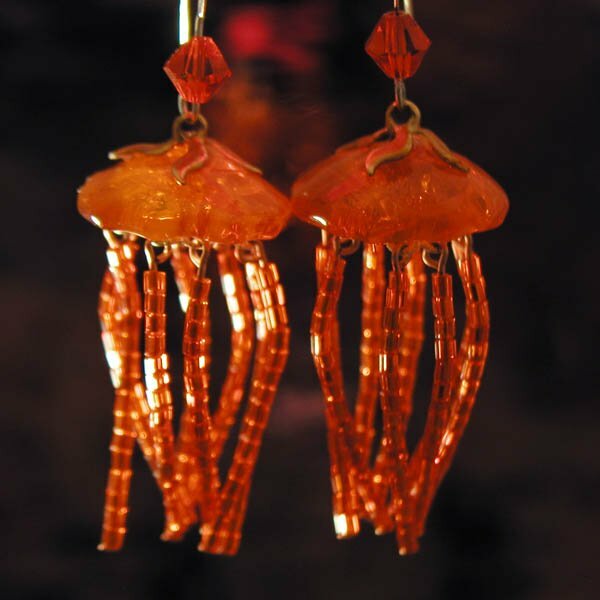 Transparent vivid orange tops with matching orange tentacles make these jellies look a tiny bit dangerous! 2 1/2 inches long on sterling silver wires with a faceted Austrian bi-cone crystal. Faceted crystal beads sparkle from within these intricate beauties. 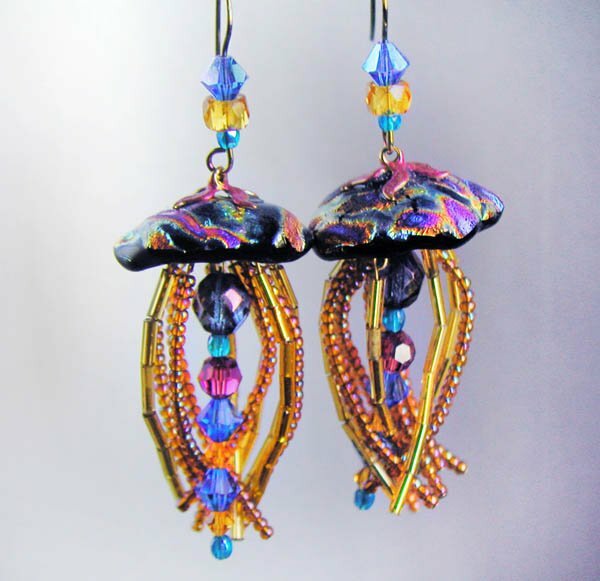 This unique pair measures 2 3/4 inches in length, from the top of the earwire to the bottom of the tendrils. They have a diameter of about 1/2 inch at the widest point. 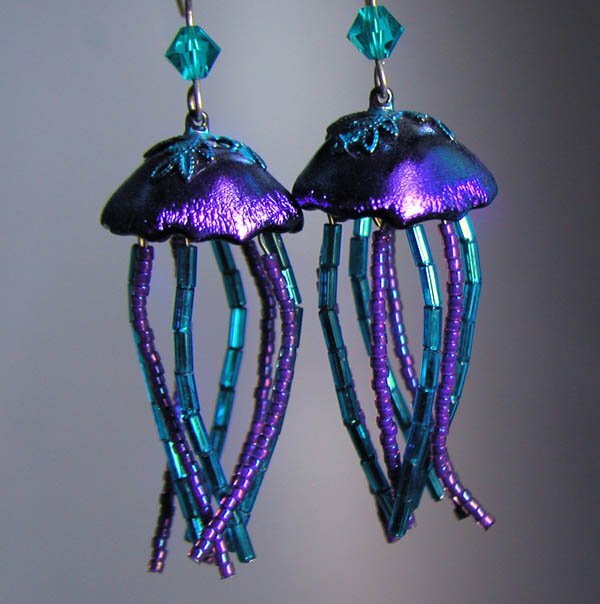 The jellyfish shimmers in blue with purple highlights. 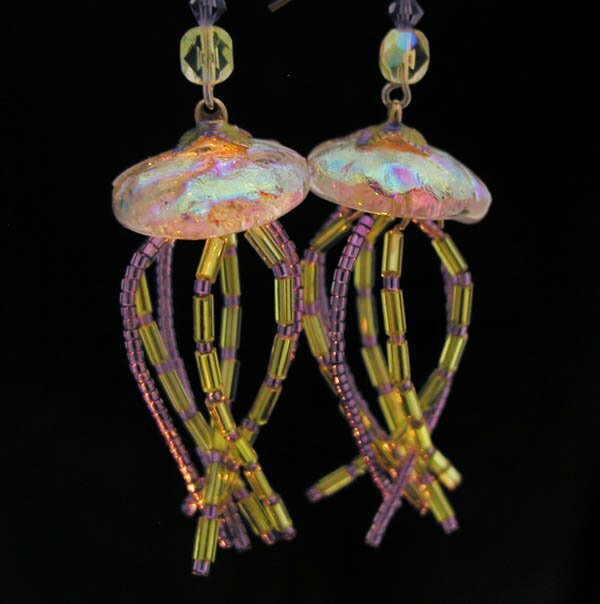 These Orange green color changing jellies really demonstrate how gorgeous dichroic glass can be. The colors look different as you move. 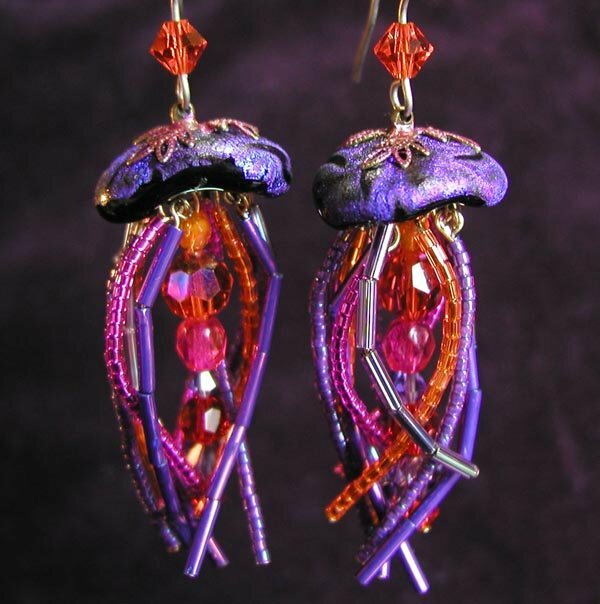 These earrings have a very developed inner tentacle, with orange and amber glass beads sparkling from within. 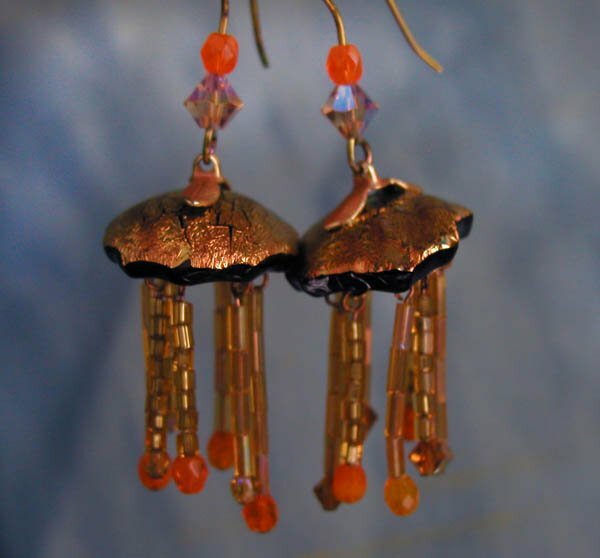 The ear wires have faceted light golden amber faceted glass beads. The outer tentacles are a combination of chartreuse and orange seed and bugle beads. The earrings hang 2 3/4 inches. 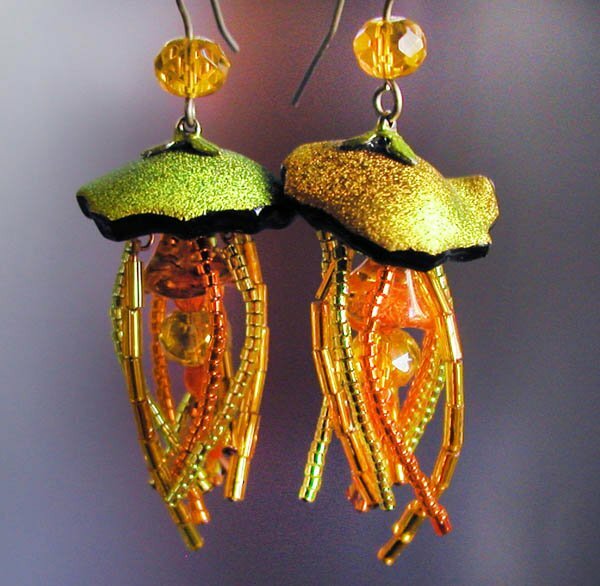 These little orange/rust/gold cuties have outer tentacles in orange/gold with orange faceted beads at their ends.